Many people have very strong opinions about decaf coffee. Unfortunately, a lot of what people think they know about this product is actually the result of misinformation and myth. And this has resulted in some people demonizing this product and claiming that it’s unhealthy, doesn’t taste very good or is too acidic for the body. All of which is simply untrue. In order to combat the myths surrounding this type of coffee, we’ve decided to go to the heart of the matter and find out the truth about this product. 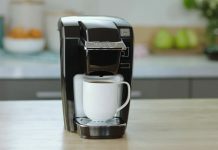 We’ve not only uncovered the ten best decaf coffee products, but also some real information about this product that coffee drinkers will find useful. This quality decaffeinated coffee is manufactured using the Swiss water method, which is one of the most preferable methods to decaffeinate the coffee. Once these beans are decaffeinated, they are medium-roasted, so they make a coffee that has a nice body and a fresh aroma. This ground coffee is roasted and ground in small batches in Brooklyn, New York, so coffee lovers can rest assured that they’re getting a quality product. This coffee has a low acidity that’s easy on most people’s stomachs and has a grind size that allows it to be used for everything from percolators to drip machines to French Press coffee makers. This coffee is available in a 12-ounce bag and is made using USDA certified organic coffee beans. The beans used to make this ground coffee are also Fair Trade Certified and are decaffeinated using the Swiss Water Method, so the coffee drinker doesn’t have to worry about the harsh chemicals used by some other decaffeination processes. Although this product has almost none of the bitterness of other medium dark roasted coffees, it just wasn’t as flavorful as we had hoped. Even so, it’s still a mellow decaf coffee that some people are really going to enjoy. This ground coffee is manufactured using beans that come from high-elevation areas with deeply rich volcanic soils. This ensures that the coffee is as rich and flavorful as it can be. This brand then takes this flavorful coffee and uses a direct contact method to remove the caffeine from it. They also dark roast is to lock in the flavor of the beans. The result is a coffee that’s very affordable but is smooth, mild and rich at the same time. It’s also a coffee that’s aromatic and has a smoky full-body. It’s a coffee worth considering by anyone who likes a dark roasted decaf. This medium roast coffee is not only 97% caffeine-free but also has a French vanilla taste that some people go crazy for. Although this means that this product is made with both natural and artificial flavors, it also means that this coffee provides a taste that can’t be replicated by many other coffee manufactures. This product is certified to be Kosher and gluten-free and is made with 100% Arabica beans, so the consumer knows they’re buying a quality product. And since this product is medium-roasted, it’s never bitter and has a flavor that’s not too bold but is always smooth. This economical dark roasted coffee is available in 3-pound cans that have a distinctive color and look to them. This coffee is made from decaffeinated Arabica beans, so the coffee drinker can get all of the flavors they want out of their coffee but without all of the caffeine that’s found in regular coffee. The beans that comprise this fine grind come from high altitudes in Central and South America, which translates into a fresh, clean flavor that other blends can’t compete with. Overall, this coffee’s grind may be too fine for some methods of brewing coffee, but for automatic drip machines, it works just fine. These whole beans from Kicking Horse are sourced from certified organic and Fairtrade beans, so coffee fans can feel better about their purchase when they grind and brew them up. These beans are then decaffeinated using the Swiss Water Method, which doesn’t involve the use of harmful chemicals and is dark roasted until they’re nice and dark. These beans are always shade-grown in parts of Central and South America. Although the taste profile of these beans aren’t as robust as we would’ve liked, they’re still pretty delicious. These dark beans have a mellow balance to them that contain subtle notes of hazelnuts and chocolate in its finish. Although this decaf coffee’s name suggests its the best coffee blend in Seattle, all we can say for sure about this brand is that it’s one of the best-decaffeinated coffees on this list. That’s because these medium-roasted coffee grounds have a mellow, rich taste that many coffee lovers are simply not going to be able to resist. This coffee is made from Arabica beans sourced from Latin America and are carefully roasted to bring out the bean’s unique flavor. This is coffee that’s designed to brighten a person’s mood and it’s amazing that it’s capable of doing it without the aid of caffeine. This coffee is 99.9% caffeine-free because the use the Swiss Water Process to decaffeinate the beans. However, what’s really impressive about these beans isn’t that they are virtually caffeine-free, but that they are made with some of the best coffee beans available. This brand takes 100% Arabica beans and roasts them to a medium-dark roast. This results in a coffee that’s slightly acidic but has somewhat of a medium body. It also means that this coffee has some of the most interesting notes available in a coffee including notes of walnut, citrus, and chocolate. This coffee is probably one of the most unique coffees on this list. That’s because it’s not only made from gourmet Arabica beans, but it is also roasted by true monks up in the Rocky Mountains. This ground coffee has been decaffeinated using the Swiss Process, so the consumer knows that no harsh chemicals were used while it’s being made. And since it’s medium-roasted, it has a nice aroma and flavor to it. This coffee has the characteristics of a fine Mexican coffee, including notes of chocolate and nuts, but does it without having the caffeine of regular Mexican coffee. All of which makes it a fine after-dinner coffee. Many people are familiar with the green container of Folger’s Decaf coffee but aren’t really familiar with the coffee inside of it. Which is a shame because this coffee not only delivers a rich coffee experience but is also 99.7% caffeine-free. Although it doesn’t have the flavor notes that gourmet coffee often does, this coffee’s biggest asset is that it delivers consistency with every cup. Whenever a cup of the black silk coffee is poured, it’s going to taste like the cup before it. It delivers a rich, smooth cup of coffee that’s not too acidic but still has a bold flavor to it. When many people think about coffee, they think about the caffeine that the product delivers. Which may make decaf coffee seem kind of strange to them. And that’s undoubtedly the reason why there are so many myths and misconceptions that can be found around this product. To clarify just what decaf coffee is and how it’s made, we’ve put together this simple guide which will provide the information that everyone is looking for when it comes to decaffeinated coffee. 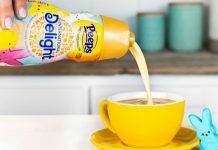 One of the first questions that many people think to ask about this product is just what constitutes a decaffeinated coffee. Which is a fairly easy question to ask. Decaf coffee is merely a coffee that’s has had the caffeine removed from it using one of four different caffeine removal methods. This results in a coffee that’s not caffeine-free but has quite a low amount of caffeine in it. As a general rule, decaf coffee still contains about 1% to 3% of the caffeine of normal coffee. In fact, FDA regulations only require that 97% of the original caffeine be removed in order for coffee to be labeled as a decaffeinated coffee. 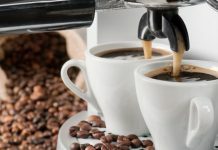 People drink decaf coffee for a number of different reasons, but the main reason is that they don’t want all of the caffeine that’s found in regular coffee. These coffee drinkers may enjoy the taste and/or the social aspects of drinking coffee with their friends, family, and co-workers, but don’t want to suffer the effects of drinking caffeine. Decaffeinated coffee is also suitable for people who may have medical conditions or sensitives that make drinking caffeinated products unwise. Pregnant women who want to avoid caffeine or those with caffeine sensitivities are people who may want to avoid caffeine. In 1903, Ludwig Roselius invented the first method of decaffeinating coffee, which he ended up patenting in 1906. This method, known as the Roselius Method, involved soaking the beans in benzene to remove the caffeine from them. Coffee that was prepared using this method was sold as Kaffee HAG all around Europe. However, it was eventually discontinued when benzene was recognized as a carcinogenic chemical. Other methods were then developed to remove caffeine from coffee beans effectively and more importantly, safely. One of the first methods to decaffeinate coffee was first created at the beginning of the 20th century by Ludwig Roselius. His process involved soaking the coffee beans in a solution of water and benzene to dissolve the caffeine and remove it from the beans. Although this was a highly effective method of removing caffeine from coffee, it was discontinued when benzene was discovered to potentially cause cancer. As a result, coffee manufacturers had to develop new methods of decaffeinating coffee, which involves one of the following methods. The CO2 Process: Using this process, coffee producers use CO2 to remove caffeine from the coffee beans. It involves using liquid CO2 that is forced into the coffee at extremely high-pressure levels. When the CO2 is withdrawn, it takes the caffeine along with it. Solvent Based Process: Using this process, the coffee beans are steamed and then exposed to a solvent such as an ethyl acetate for anywhere from 10 to 12-hours. This chemical draws out the caffeine and is then disposed of properly. The coffee beans are then steamed again to remove any of the solvents that may remain after the process is completed. The Swiss Process Method: This method is one of the most desirable caffeine extraction methods available. That’s because it only uses hot water and an activated charcoal filter to remove the caffeine from the coffee beans. This process is not only healthier than other decaffeination methods but is also more environmentally sustainable and is one of the most effective decaffeination methods.